Dr Kate Hodgson (French) recently travelled to Haiti in order to attend an international conference on Ethnology and the construction of the political nation, the people and the citizen at the State University of Haiti, in the capital, Port au Prince (15-18 February 2012). 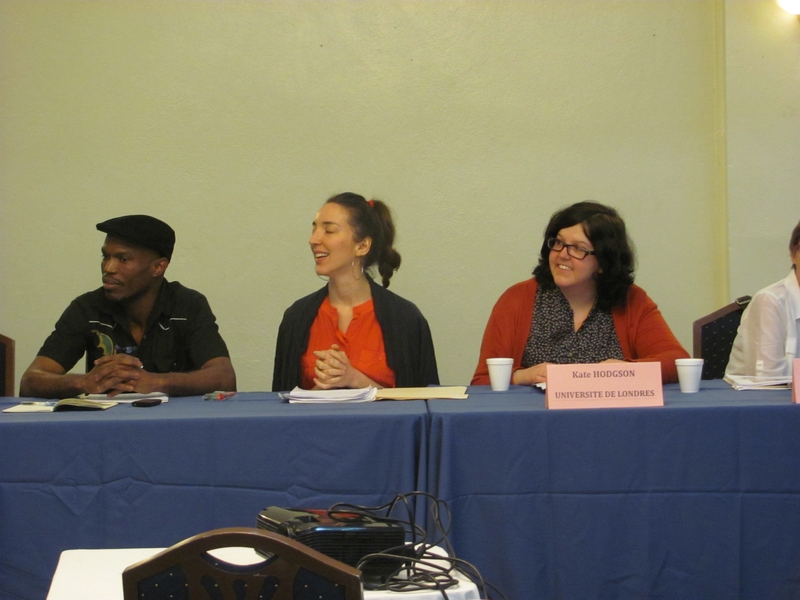 The conference brought together researchers working on a range of topics relating to Haitian politics and society, from the writings of theorists like Jean Price Mars to the travels of Vodou folklore dance troops under the dictatorship of François ‘Papa Doc’ Duvalier. It was also an opportunity to set the strong Haitian national tradition of ethnology within a wider global context, with papers covering Africa, Brazil, Central America and the other Caribbean islands. The conference was widely publicised with banners around the city, and reported in the national newspaper, Le Nouvelliste. Dr Hodgson spoke about the strong historical connections between the development of ethnology as a discipline and abolitionism in the nineteenth century. Her paper looked at a number of published travel narratives from anti-slavery activists who visited Haiti in the 1830s and 40s, including a Baptist minister from Wavertree, Liverpool. The future of ethnology and the future of the university within the nation state continue to be highly politicised in Haiti today. This was demonstrated by the growing political unrest that erupted into the conference. On day three, there was conflict between the armed presidential security forces and the students of the Faculty of Ethnology, resulting in the ransacking of the building and several injured students. Yet despite this set back, the conference managed to continue to a very successful conclusion, due in no small part to the dedication of the organisers. The presence of the students in the Ethnology department at the conference was an immensely positive one – their participation and engagement was fantastic to see. 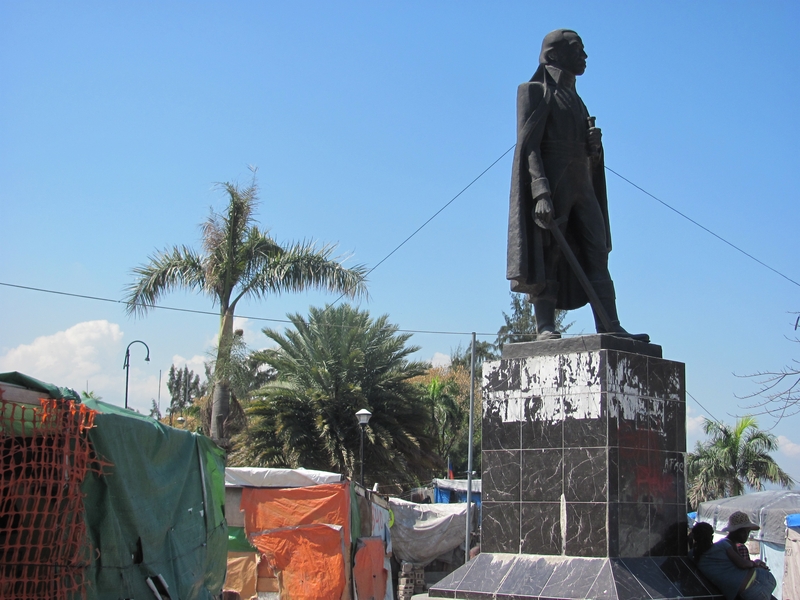 The Ethnology Faculty is situated in downtown Port au Prince, right opposite the camp on the Champ de Mars which continues to be home to 17,000 survivors of the January 2010 earthquake and acts as a daily reminder of the difficulties of national reconstruction after such devastation. The conference was therefore an opportunity for participants to reflect with colleagues from the State University on how the discipline of ethnology can contribute to the reconstruction of the nation. 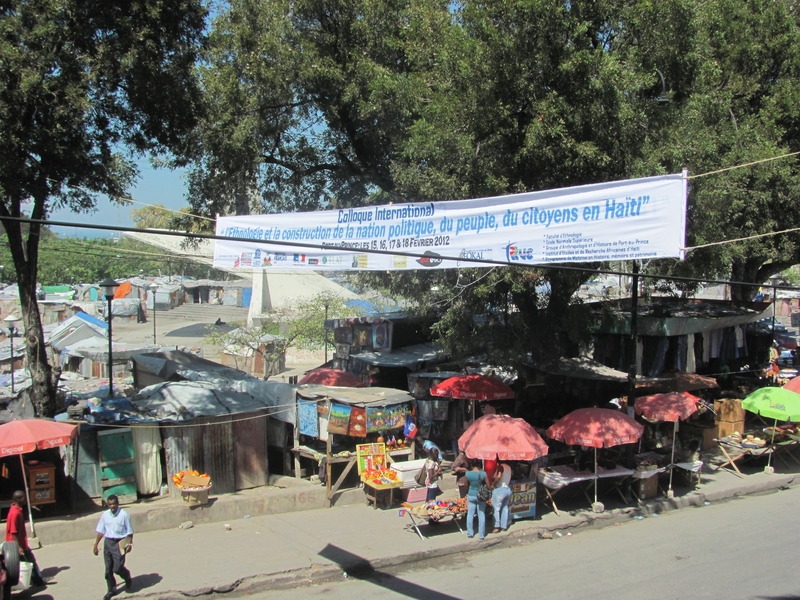 The significance of Haiti’s unique national heritage was stressed, equally the importance of acknowledging the centrality of the Haitian people in leading the ongoing process of recovery. This seminar will be held in memory of Dr Steve Rubenstein. Since the mid-1990s neoliberal policy in Latin America has taken social differences into account. Arising from indigenous rights activism and transnational social movements, multiculturalism was integrated with neoliberal programmes in ways that were consistently associated with continuing poverty and exclusion for indigenous and black populations. The talk will focus on the ways that indigenous women experienced and contested this pattern of social neoliberalism and its gendered consequences, drawing on extensive fieldwork among two ethnic groups in Ecuador. It will also deal with how the ‘post-neoliberal’ Correa government is addressing these legacies and indigenous women’s response to policy shifts. Iberian Week comes to a close on Friday with an evening of live music from the Iberian peninsula from 8pm at Mello Mello, Slater Street. Musicians include Misturado from Portugal, Zea Mays from the Basque country and Manel Àlvarez Trio from Catalonia. Iberian Week aims to celebrate the diversity of the Iberian pensinsula, with events promoting the cultures of the Basque Country, Catalonia, Galicia, Spain and Portugal. Find out more about Iberian Week here. Iberian Week, Thursday 15 March: Food, song and salsa! ≈ Comments Off on Iberian Week, Thursday 15 March: Food, song and salsa! Iberian Week continues on Thursday with a day of food, song and salsa dancing. A selection of tapas and cake will be served at 1pm in the foyer of the Cypress building. Shortly after, there will be live music in room 507 from 2pm. Professor Roger Wright will be singing his own folk arrangements of Castilian ballads in translation, Xabi Paya will be singing improvised poems in Basque and Dr Andrew Redden will be playing the charango. The afternoon’s events close with a salsa class given by Dr Claire Taylor and Nelson Becerra, in the foyer of the Cypress building at 4pm. All welcome! Iberian Week aims to celebrate the diversity of the Iberian pensinsula, with events promoting the cultures of the Basque Country, Catalonia, Galicia, Spain and Portugal. Find out more about the other events held during Iberian Week here. It is with great sadness that I write to inform colleagues of the sudden and unexpected death of Dr Steven Rubenstein, Reader in Latin American Studies at the University of Liverpool, UK. A graduate student at Columbia University and a postdoctoral fellow at Cornell University’s Society for the Humanities, Steve worked for eight years as an Assistant and then Associate Professor at Ohio University before joining us at the University of Liverpool in 2006. In Liverpool, Steve served as Director of the Research Institute of Latin American Studies, and was also programme director of our MA in Latin American Studies. He was instrumental in developing an interdisciplinary research network in Liverpool devoted to Children, Childhood and Communities. Steve will be remembered in particular for his passionate interest in the Shuar nation in the Ecuadorian Amazon, and for his commitment to the defence of the Shuar people’s rights to determine their own culture and identity. A Fellow at the National Humanities Center in 2008/9, Steve was planning fieldwork later this year to complete his collection of life histories of Shuar women. He was developing a series of ambitious projects that would have continued to challenge prior notions of indigenous politics, culture and identity in the Amazon and beyond. Steve was a valued colleague and an exceptional interlocutor who will be greatly missed by all those whose lives he touched. I am sure that those who knew Steve will wish to join colleagues in Liverpool in remembering his family and friends in your thoughts and prayers at this very difficult time. Please do not hesitate to direct any enquiries to Charles Forsdick, Head of the Department of Cultures, Languages and Area Studies, University of Liverpool (craf@liv.ac.uk). The talk will take place at 1.30pm in Lecture Theatre A, Cypress Building. All welcome! The talk will be at 4 p.m. on Wednesday 14th March, in room 401 of the Cypress Building (no. 108 on the campus map). Iberian week continues on Tuesday, 13 March with a talk on the Portuguese fado and an evening of poetry recitals. CLAS will be presenting a talk by Ken Cavendish, Julian Landim and Débora Betts, entitled ‘Fado: song of resistance in the Portuguese Diaspora’ at 3pm, Lecture Theatre 8, Rendall Building. In the evening, CLAS will be hosting an evening of Basque and Catalan poetry recitals, featuring Kirmen Uribe and Mikel Urdangarín from the Basque Country and Prof. August Bover from Catalonia, at 7pm in The Bluecoat. Everyone welcome! Iberian Week kicks off on Monday with an exclusive screening of Terrados (Rooftops), a recent Catalan film which has received great critical acclaim. Winner of the Audience Award at the 56th Valladolid International Film Festival, Terrados tells the story of a group of unemployed thirty-somethings who spend their days loafing on the city’s rooftops. The film will be introduced by CLAS’s Spanish film expert, Dr Tom Whittaker. Terrados is presented in association with Viva! Spanish & Latin American Film Festival. Hispanic Studies at Liverpool are delighted to announce Iberian Week, a forthcoming series of cultural activities which will take place 12-16 March. Iberian Week aims to celebrate the diversity of the Iberian pensinsula, with events promoting the cultures of the Basque Country, Catalonia, Galicia, Spain and Portugal. The events promise to be both enlightening and entertaining, and include highlights such as film screenings, poetry readings, salsa dancing and live music. Iberian Week will be presented in association with with the Embassy of Spain, Office for Cultural and Scientific Affairs, and in collaboration with the Etxepare Institutua, the Instituto Cervantes, the Instituto Camões, the Institut Ramon Llull and ¡Viva! Spanish & Latin American Film Festival. Find the full list of events here. Everyone is welcome!